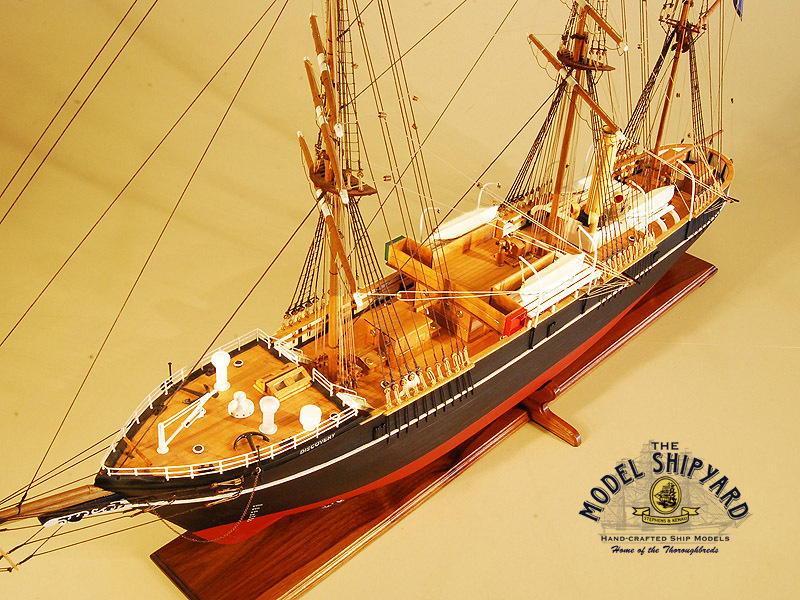 RRS Discovery was an auxiliary Bark build for the Scott expedition to Antarctica. 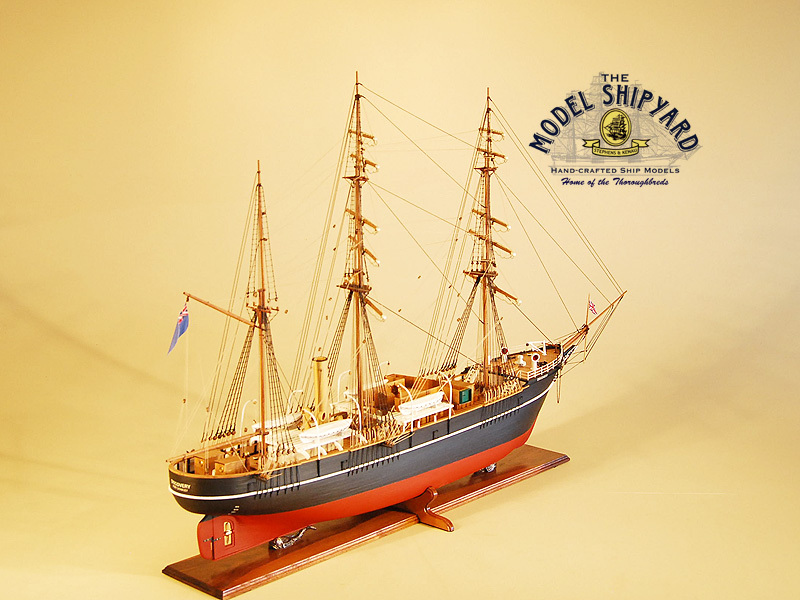 The RRS Discovery is an auxiliary Bark, built by Dundee Shipbuilders Company at Dundee in Scotland. 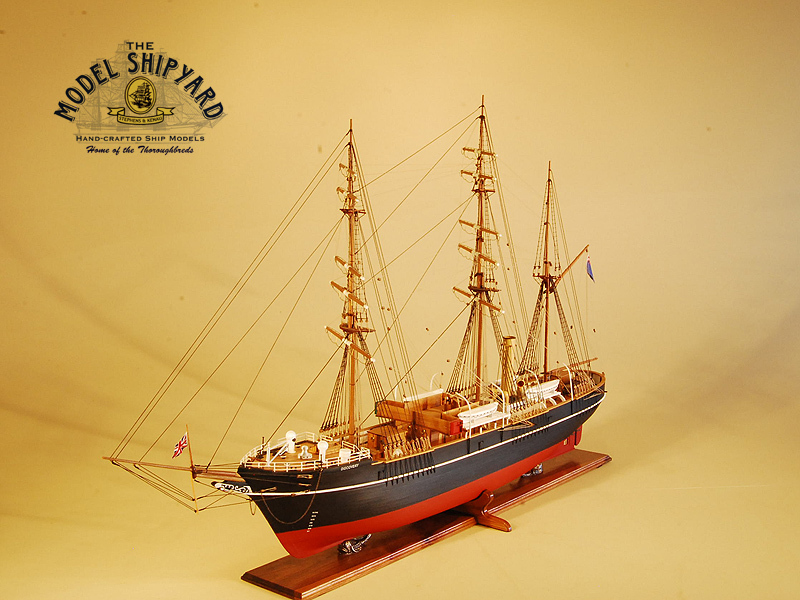 She was launched in 1901 with a complement between 39- 43. She was built for Commander Robert Falcon Scott’s expedition to Antarctica and has had a long career as a research and training vessel. Scott worried that the design of the hull of the RRS Discovery was not suitable for work in pack ice as it has a massive wooden hull. As a result, she provided minimal stability in heavy seas. 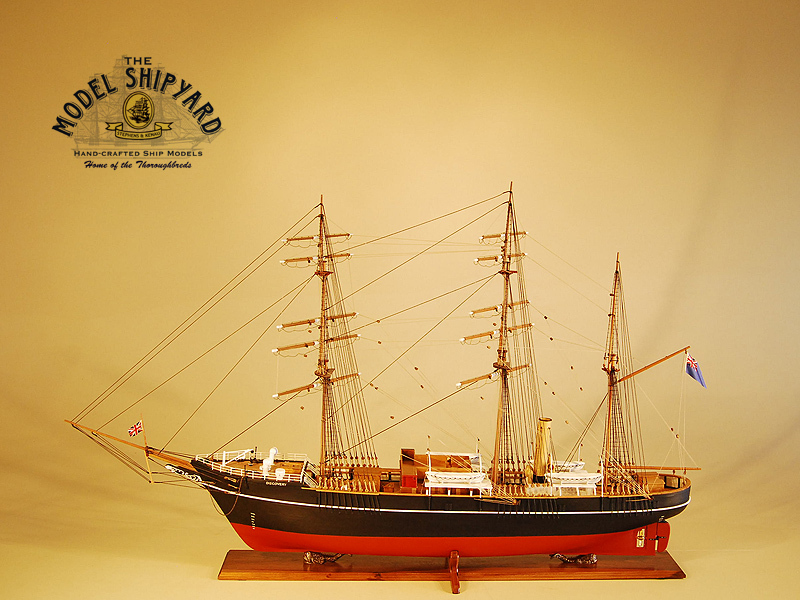 In 1901 the RRS Discovery sailed from Cowes and sighted the Antarctic coastline in 1902. Preparing for winter, the RRS Discovery was docked at McMurdo Sound and remained there, locked in ice for the following two years. However, the Expedition was able to determine that Antarctica was indeed a continent. Edward Wilson, Shackleton, and Scott reached 82°16’S later that Antarctic summer. RRS Discovery finally broke free from the ice in February 1904 and after stops in the Balleny Islands, Macquerie Island, New Zealand and the Falklands, arrived at Portsmouth on September 1904. 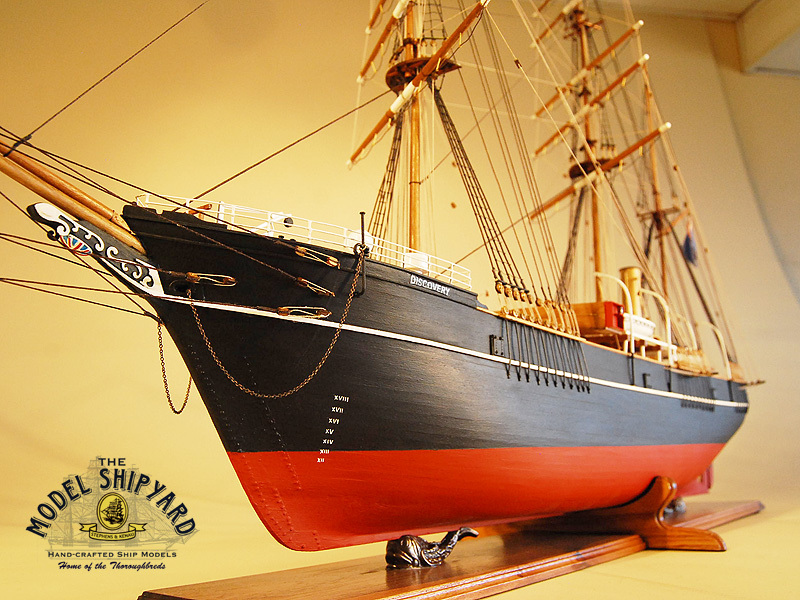 In 1905 the RRS Discovery was purchased by Hudson’s Bay Company and converted for use as a merchant ship. Till 1911 she made seven voyages to Charlton Island but was laid up from 1912 to 1915 during World War I. In 1916 she was loaned to the Government to rescue Shackleton’s party stranded on Elephant Island after the loss of Nimrod. However, they were saved before the Discovery arrived and so she loaded grain in South America for the return passage. 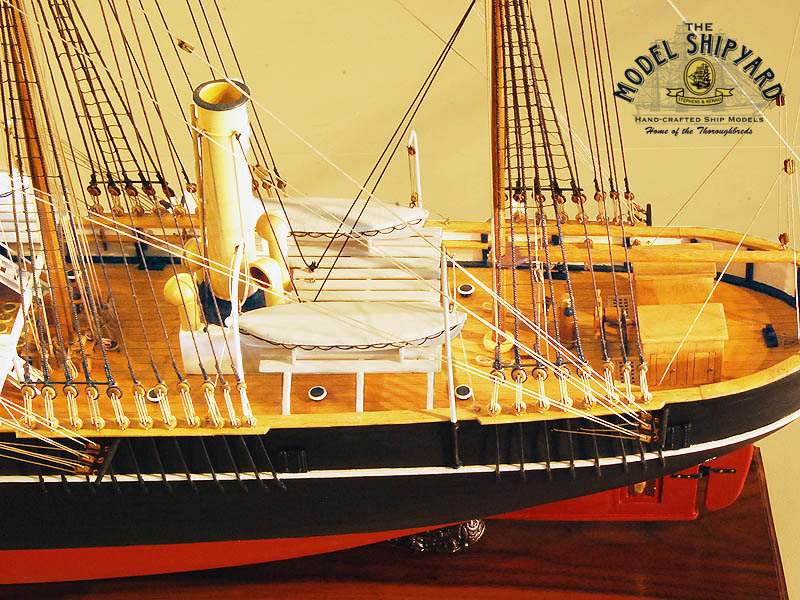 In 1923 the Crown Agents for scientific research in the South Sea purchased the Discovery. Between 1925 and 1927 she cruised between Cape Town, Antarctica and the Drake Strait, researching whale grounds and oceanographic surveys. This research continued as she was employed by BANZARE (British, Australian, and New Zealand Antarctic Research Expedition) from 1929 till 1931. 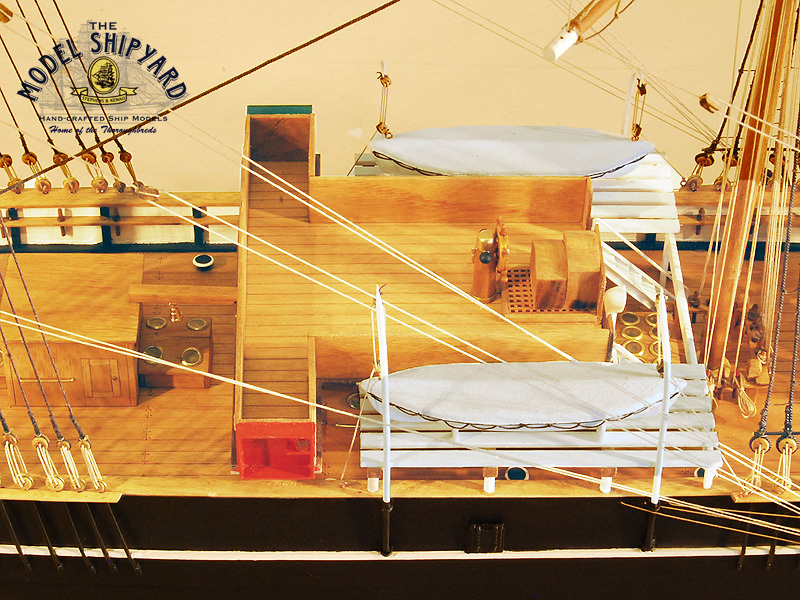 The RRS Discovery was laid up from 1931 to 1936 when she was acquired by the Boy Scouts Association for use as a stationary training ship and hostel in London. During World War II her engines and boilers were scrapped. From 1955 to 1979 the Boys Scouts and the Royal Naval Reserve used her. 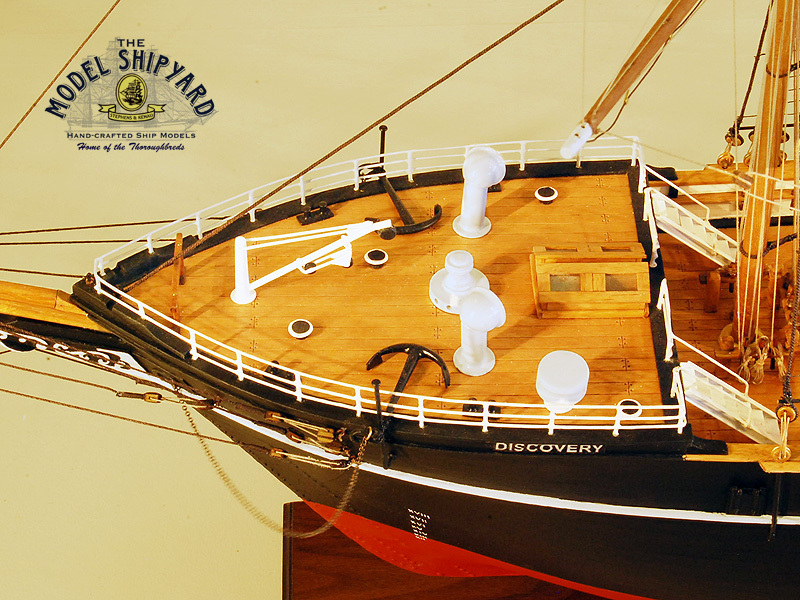 The Discovery was transferred to the Maritime Trust and restored and opened to the public as a museum ship in 1986.